Flat Rate Shipping $4.95 (U.S. Only) Free Shipping on All Orders Over $99! Want discounts? Sign-up for our newsletter! 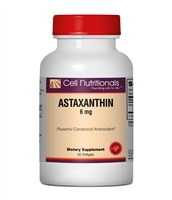 Astaxantin is a potent antioxidant beneficial for joint, tendon and cardiovascular health, immune support, and to manage a healthy inflammatory response. Because of its unique molecular structure astaxanthin molecules can span the entire cell membrane, making it remarkably effective at neutralizing free radicals. Heart Plus, with Vitamin C, L-Lysine and L-Proline (Free-Form Amino Acids), is based on Linus Pauling's formula to support cardiovascular health. Raspberry flavored. 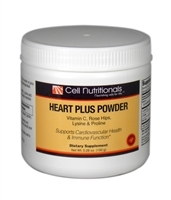 © Copyright 2015 Cell Nutritionals. All Rights Reserved. Cell Nutritionals is committed to going above and beyond to provide members with products that undergo strict, independent laboratory testing. Nonetheless, it is our duty to disclose that information on this site is provided for informational purposes only and is not meant to substitute for the advice provided by your healthcare provider or any other medical professional. The statements on this website have not been evaluated by the Food and Drug Administration. Our products are not intended to diagnose, treat, cure or prevent any disease. Each user's experience is unique to them and your results may be different. Read more.